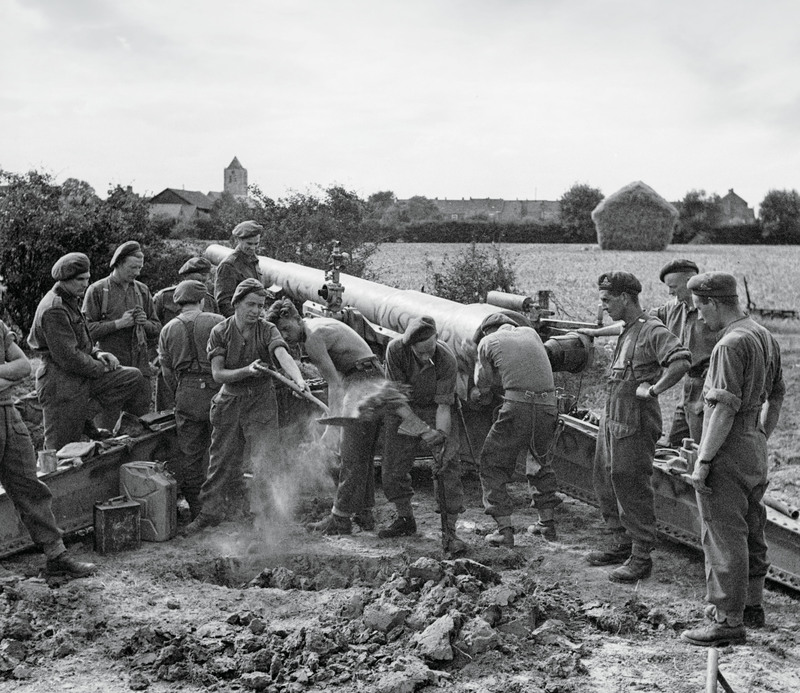 Gunners with the Royal Canadian Artillery dig a breech pit for a captured gun during the weeklong attack on Dunkirk, France, in September 1944. In the lead-up to Operation Market Garden—the Allied military operation to encircle Germany’s industrial Ruhr district in September 1944—British Army Field Marshal Bernard Montgomery and Supreme Headquarters Allied Expeditionary Force General Dwight D. Eisenhower took a calculated risk and assigned First Canadian Army to open the North Sea port of Antwerp, Belgium, to Allied shipping. But the operation would not be possible until France’s Channel ports were won. First Canadian Army crossed the Seine on Aug. 30, 1944, to begin opening the French ports. The far larger harbour of Antwerp was won by the British on Sept. 4, but German control of the 80-kilometre-long Scheldt estuary denied the Allies its use. 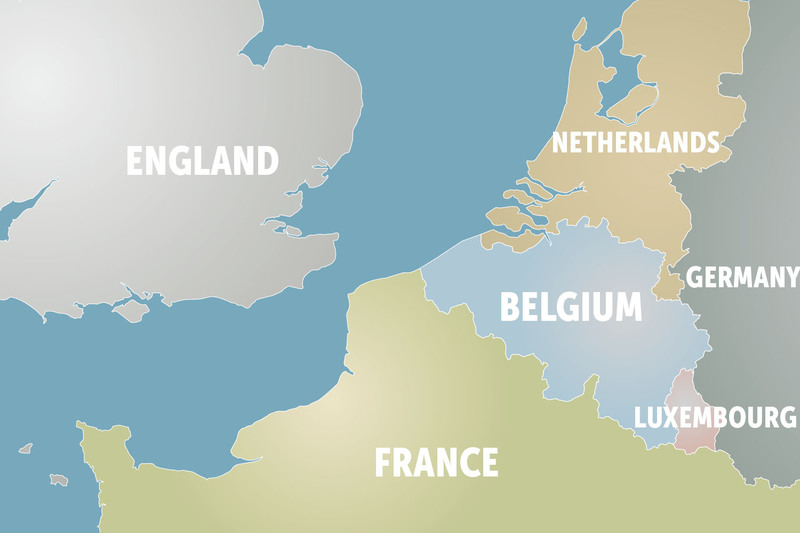 By Sept. 4, II Canadian Corps and I British Corps had isolated the northern French ports and liberated Ostend, Belgium. In what would prove common practice, Ostend’s port facilities were largely destroyed by its German garrison. Montgomery wanted the French ports opened, but he could not fully supply First Canadian Army while providing sufficient matériel for Market Garden. So First Canadian Army was put on a strict ammunition and fuel diet. As a result, the Canadians nicknamed themselves the Cinderella Army—not only undersupplied but given the unglamorous port-clearing task while British and American troops swanned toward Germany. 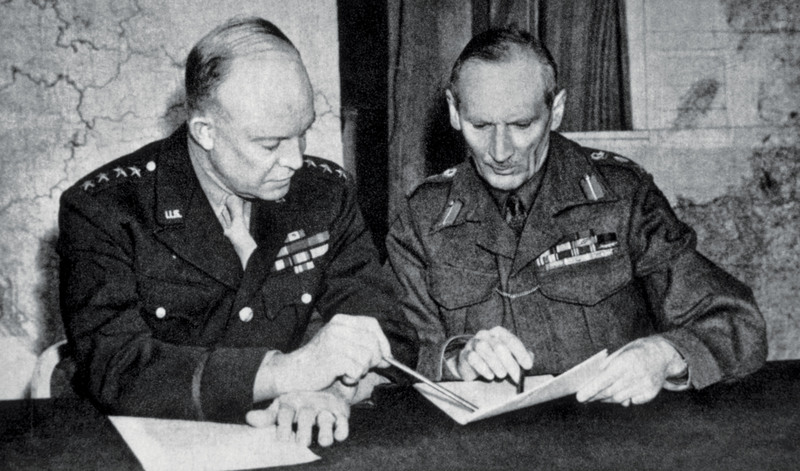 American General Dwight D. Eisenhower (left) confers with British Field Marshal Bernard Montgomery in 1944. Despite orders to fight to the last man, the German garrison at Dieppe, France, withdrew before the 2nd Canadian Infantry Division arrived on Sept. 1. However, the other French ports—Le Havre, Boulogne, Calais and Dunkirk—remained heavily defended, each requiring besieging with support from most of the 21st Army Group’s heavy and medium artillery regiments and the 79th British Armoured Division’s specialized equipment. The division’s “Funnies”—modified armoured vehicles—included flamethrower-mounted Churchill Crocodiles, mine-detonating flails (with horizontally rotating drums fitted with heavy chains ending in steel balls), tanks carrying bridging gear, and the bunker-busting Petard, with its short-barrel, 12-inch gun firing 40-pound rounds. Forty-four Kangaroos—modified American M-7 self-propelled guns stripped of armament to create room for infantry—were deployed by the 1st Canadian Armoured Personnel Carrier Squadron to protect troops crossing open ground. 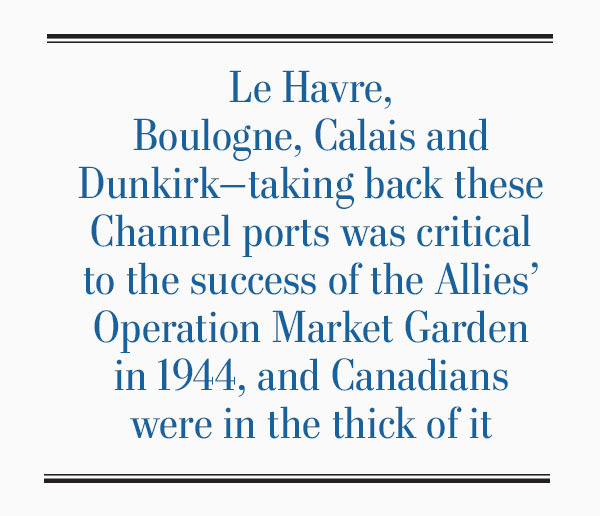 Lacking this specialized support would ensure failure, a lesson the 2nd Canadian Division learned at Dunkirk in a weeklong attack starting on Sept. 7. After repeated repulses, the German garrison in Dunkirk was finally contained by the 1st Czechoslovak Independent Armoured Brigade, with the 2nd Canadian Heavy Anti-Aircraft Regiment under its command. The Germans here only surrendered on May 9, 1945. Operation Astonia, the Allied effort to capture Le Havre, was assigned to I British Corps. It was preceded by three bomber raids dropping 4,000 tonnes of explosives. Most of the city was destroyed, 5,126 citizens were killed, and another 31,000 were left homeless. The bombs damaged some German defences, but concrete positions were mostly unscathed while extensive craters and rubble in the streets impeded the British advance. On Sept. 10, Britain’s 49th (West Riding) Division attacked. Despite deep mud and dense minefields, armour and infantry advanced quickly out of the east. That evening, the 51st (Highland) Division thrust in from the north. Blundering along flail-cleared lanes through the minefields, the division’s brigades reached the assigned objectives before dawn. Sept. 11 saw a methodical elimination of German strongpoints outside the city, and the following day, the British mopped up “with vigour.” By 10 p.m.—slightly more than 48 hours after the attack’s start—the last outpost fell. Of the 12,000-man garrison, some 600 were dead and the remainder were prisoners. British losses numbered just 388. 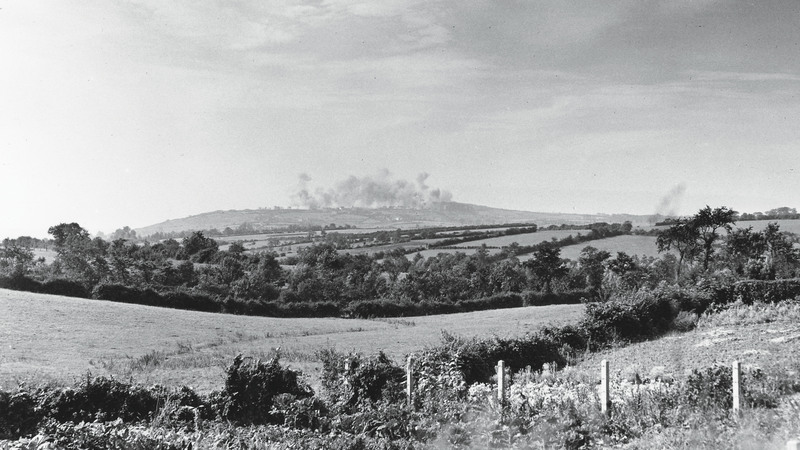 A bomber raid strikes Mont Lambert near Boulogne on Sept. 13, 1944. Boulogne-sur-Mer was next—the attack opened on Sept. 17. Le Havre had fallen to two infantry divisions, two armoured brigades and the 79th Armoured Division’s Funnies. With most of First Canadian Army diverted to the Scheldt estuary, only two 3rd Canadian Division brigades remained, supported by Fort Garry Horse tanks and 79th Armoured Division units. Expansive artillery and bombing backed the operation. The city’s defences were anchored on two heights—Mont Lambert and Herquelingue—both more than 150 metres high and studded with gun emplacements protected by trenches, weapon pits and pillboxes. The defensive system was deep with mutually supporting strongpoints often linked by underground passages. Several large coastal guns could fire inland. Wire and minefields blocked all approaches. The garrison numbered about 10,000. Sept. 17 dawned clear as 800 bombers unleashed 3,232 tonnes of ordnance. This was followed by the artillery barrage. Bombs still falling, the North Shore (New Brunswick) Regiment assaulted La Trésorerie battery well north of the main defences. As the bombing ended, however, the Germans manned their machine-gun positions and pinned down the two leading companies. As dusk fell, A Company succeeded in occupying half the battery complex. 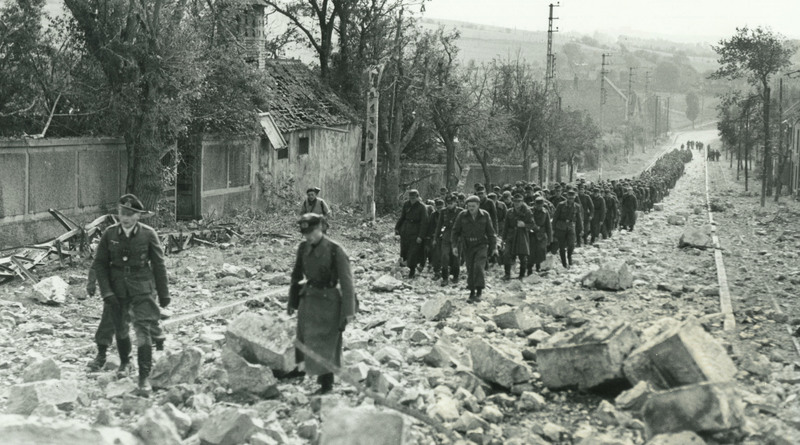 German prisoners march on a rubble-strewn road near Boulogne on Sept. 21, 1944. Meanwhile, at 9:55 a.m., Operation Wellhit’s full might struck to the southeast. Despite thick minefields and sporadic resistance, the 8th Brigade’s Le Régiment de la Chaudière and The Queen’s Own Rifles of Canada made good progress. By nightfall, the Queen’s Own was poised to drive into Boulogne at dawn. To the left of the 8th Brigade, the Stormont, Dundas and Glengarry Highlanders and the North Nova Scotia Highlanders led the 9th Brigade’s attack. 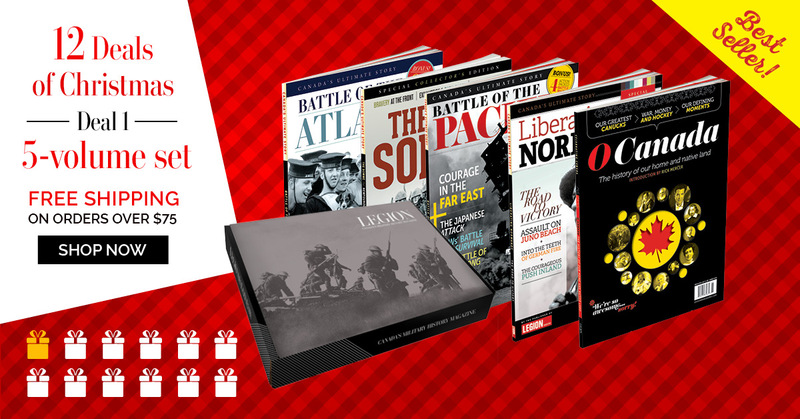 Mounted in Kangaroos, the Glens swept through a gap north of Mont Lambert to open the way for armoured columns formed by Funnies, Fort Garry Horse tanks, and a single Canadian infantry platoon to punch through the city to bridge crossings on the Liane River. By 4:30 p.m., the Glens had opened a path through which two armoured columns attempted “to smash through to the river.” Each column penetrated Boulogne’s rubble-clogged streets, but both halted short of the river at dusk and were soon reinforced by the Glens. The North Novas, meanwhile, assaulted Mont Lambert. 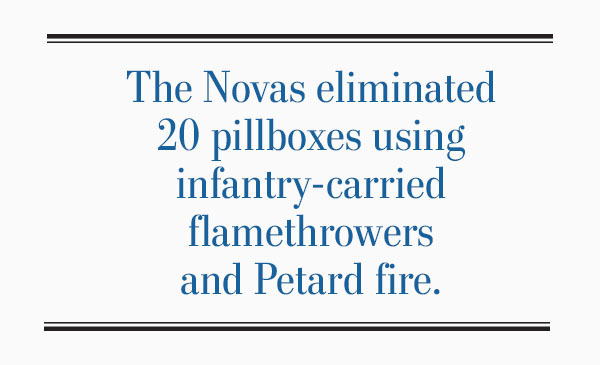 In a long day’s fight, the Novas eliminated 20 pillboxes using infantry-carried flamethrowers and Petard fire. At nightfall, they were strung out just below the summit. South of Mont Lambert, the Cameron Highlanders of Ottawa—a support battalion now fighting as regular infantry—tested Herquelingue’s defences. Finding 150 to 300 men guarding two 155-millimetre guns, a plan was set to take this position on the night of Sept. 18-19. 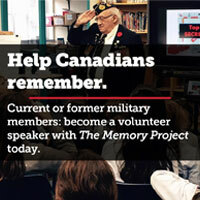 At dawn on Sept. 18, the Canadians struck hard. Sharp fighting at La Trésorerie was followed by a surrender demand, which yielded 450 prisoners. The Chaudières’ A and B companies slogged through intense 88-millimetre fire toward the village of Bon Secours while the Queen’s Own drove into Boulogne’s Saint-Pierre district—their advance slowed more by bomb damage than resistance. On Mont Lambert, the North Novas carried the summit by noon and then joined an armoured column’s advance to the Liane. At Boulogne’s heart is a large citadel. During the morning, Lieutenant-Colonel Roger Rowley with the Glens’ D Company found its heavy doors closed and barred. A French civilian, however, offered a secret entrance. Major Jim Stothart and a platoon followed him through a tunnel. 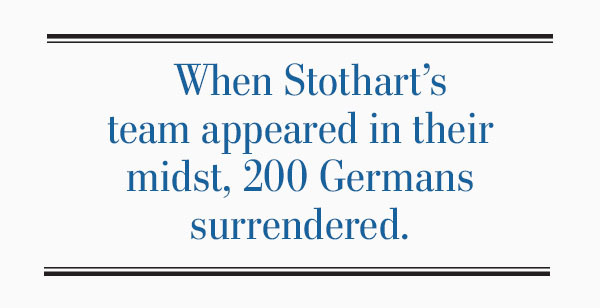 When Stothart’s team appeared in their midst, 200 Germans surrendered. Only the defences south of the Liane still resisted. Crossing the river on a badly damaged bridge, the 9th Brigade’s Highland Light Infantry of Canada (HLI) established a narrow bridgehead. That night the Cameron Highlanders attacked Herquelingue—eliminating five concrete positions, killing seven Germans and taking 164 prisoners at a cost of one man killed and 13 wounded. 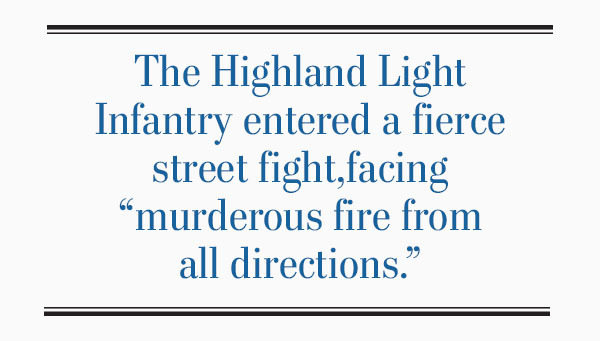 At dawn, the HLI entered a fierce street fight on the bombed-out southern outskirts, facing “murderous fire from all directions” in the heaviest action it ever experienced. Engineers were finally able to open a Bailey bridge at 2 p.m. to enable reinforcement by an armoured column. As the column exited the southern outskirts, it was stopped by coastal gunfire from nearby Le Portel. Having suffered 64 casualties, the Highlanders could not continue alone. Late in the afternoon of Sept. 19, the Glens joined the fight—carrying Mont Soleil and taking 165 prisoners. Sept. 20 dawned to dull rain. Backed by the 3rd Canadian Anti-Tank Regiment’s M-10 self-propelled guns, the North Shores seized Wimille in hard fighting. Then on Sept. 21, they reached Wimereux. South of Boulogne, the HLI slogged through German defences, finally declaring the harbour secure by the evening of Sept. 21. Operation Wellhit entered its final phase the following day. At Wimereux, the North Shores were reinforced by Petards and Crocodiles and a general surrender followed. That left only Fort de la Crèche and Le Portel. Supported by M-10s, the Queen’s Own reached the old fort’s gates and 500 Germans surrendered at about the same time as an armoured column and the HLI closed on Le Portel. Here, Boulogne’s German commandant officially surrendered the garrison. The six-day battle ended with 9,517 prisoners taken. Allied casualties numbered 634. Canada’s six infantry battalions suffered most, with 462 killed or wounded. Spry’s division marched on to Calais, where surrounding low-lying marshes had been extended by blowing gaps in canal banks. Behind these water barriers, a defensive network bristled with pillboxes, anti-tank guns and infantry posts. Germany’s Calais garrison numbered about 7,500. Some 20,000 civilians had refused evacuation. Belle Vue Ridge offered the best approach, but it was heavily defended by minefields, concrete pillboxes and wire obstacles extending from the coast to its crest. The ridge was assigned to the 7th Brigade while the 8th Brigade was to seize two coastal batteries, one beside Noires Motte and the other at Sangatte. Poor flying weather caused several postponements. On Sept. 25, despite low clouds and high winds, almost 900 bombers arrived. Many targets were obscured, and only 303 aircraft released 1,321 tonnes of bombs. Returning the following day, 191 bombers struck Calais and 341 hit Cap Gris Nez with 3,468 tonnes. At 8:45 a.m., a 90-minute artillery bombardment began. Then the 8th Brigade’s North Shores advanced behind two mine-flail units toward Noires Motte. After gaining the summit, D Company was driven back by intense fire. To the left, the Chaudières brushed aside light resistance to close on gun batteries at Cap Blanc Nez. A brief negotiation convinced the battery commander to surrender his 200 men. Negotiations also saved the North Shores a costly fight when the Noires Motte and Sangatte commander surrendered 285 men at noon on Sept. 26. To the right of the 8th Brigade, the 7th Brigade’s Regina Rifles and Royal Winnipeg Rifles advanced alongside tanks and Funnies. The Reginas reached the ridge crest at 1:30 p.m., at a cost of 10 dead, 61 wounded and 2 missing. They took 140 prisoners. To their right, Winnipeg’s “Little Black Devils” also advanced and all their objectives fell by 10 p.m. In the late afternoon of Sept. 26, the Canadian Scottish Regiment passed the Reginas on Belle Vue Ridge, but were stopped cold descending the slope. A night patrol discovered a gap in the German line through which the Canadian Scots slipped at dawn on Sept. 26 to win Sangatte. It was about 4.5 kilometres from Sangatte to Fort Lapin on Calais’s outskirts, with the coast road defended by a string of concrete blockhouses. The Canadian Scots reached Fort Lapin at 6 p.m., where they met stiff resistance. On the morning of Sept. 27, 342 Lancasters hammered the western outskirts of Calais with 1,718 tonnes of ordnance. As the bombers departed, the 1st Hussars C Squadron pounded Fort Lapin and surrounding fortifications with 75-millimetre rounds. Unable to tee up supporting artillery, however, Canadian Scot commander Lieutenant-Colonel Desmond Croft delayed renewing the attack until after dark in the hope of surprising the enemy. When A Company penetrated the wire obstacles surrounding the forts, all—including Fort Lapin—fell quickly. Not a single Canadian Scot died and only six were wounded in an action yielding 150 prisoners. Sept. 27 also saw the Winnipeg Rifles attack on Fort Nieulay in, the regiment’s diarist wrote, “an unusual battle” where all “the science of modern warfare…assembled to capture an ancient fort, with stone wall, a moat, and a drawbridge.” At 7 p.m., the Little Black Devils gained a foothold before the bridge was crossed by three pioneer platoon’s Wasps, flamethrower-equipped versions of the ubiquitous Universal Carrier. “Everything happened so fast,” remembered Rifleman Harold Prout. “We just burst through…and…the Wasps…started to burn everything in sight.” A surrender quickly followed. 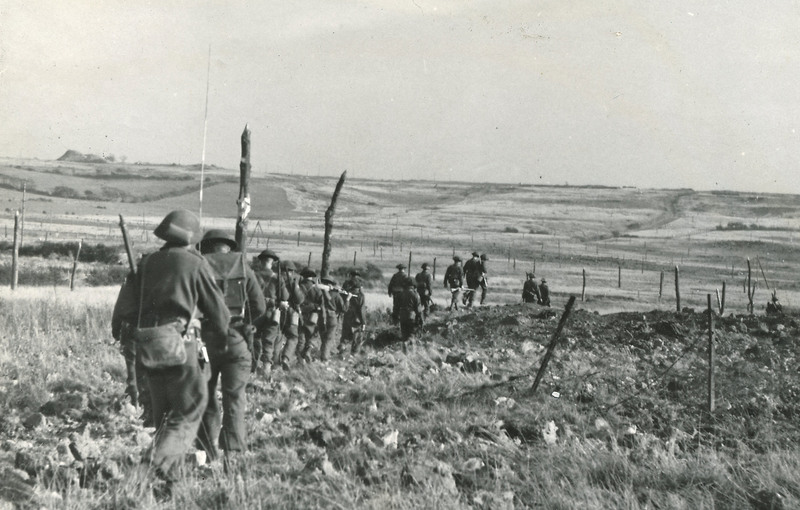 At 7:30 p.m. on Sept. 27, the Regina Rifles A Company waded into the inundated fields—guided by a French resistance fighter—toward Calais’ industrial sector. Major Ronald Shawcross struggled through “salt water, brown sewer water and canals…. The water in places came up to my shoulders and we didn’t smell pretty when we started. And when we finished…we probably smelt even worse.” But the company had slipped in through the city’s back door. Soon the rest of the battalion joined it. During the morning of Sept. 28, Bomber Command again visited Calais and Cap Gris Nez with a two-pronged raid—194 bombers struck the city, while 302 hit the cape in support of a 9th Brigade assault the following day. Soon after this bombing, Oberstleutnant Ludwig Schroeder sought a ceasefire to evacuate Calais’ remaining 20,000 civilians. Spry agreed to cease hostilities until noon on Sept. 30. Canadian troops on the march to Boulogne. After opening the French Channel ports, the Canadians moved north to join the Battle of the Scheldt. Following another aerial pre-bombardment and drenching artillery fire, armoured columns helped the infantry move forward. The columns advanced across ground rising gradually to the cape’s 15-metre high point. Two North Nova companies approached the batteries left of the cape. Getting among these battery positions, infantry chucked grenades through several massive gun ports, Petards pounded positions and Crocodiles spewed flame. By 8:30 a.m., the Germans here surrendered. To the right of the North Novas, the Highland Light Infantry and supporting flails struggled over ground riddled with bomb craters. But as they closed on the battery by Floringzelle, the Germans surrendered without fighting. Quickly reorganizing, both battalions moved on. Mines before the North Novas were so thick that 11 flails were disabled getting the infantry to within 200 metres of the objective. A quick dash yielded another surrender. The HLI, meanwhile, drove toward the summit battery at 2 p.m. Seeing the other batteries fall, the Germans here gave up as well. The two Canadian battalions had 8 killed and 34 wounded, while taking 1,600 prisoners. Germans also surrendered in droves on the western flank. Then, at 6:30 p.m., Schroeder officially yielded Calais. By 9:00 a.m. on Oct. 1, the city was secure, with about 7,500 Germans taken prisoner. Canadian casualties were less than 300. The day after the surrender, the 3rd Division marched northward to join the Scheldt estuary campaign. Although First Canadian Army continued to suffer manpower shortages to the war’s end, its true Cinderella days were over. Hereafter, it engaged in critically important Allied operations until victory came. A more detailed account of the First Canadian Army’s advance toward Germany appears in Mark Zuehlke’s latest book, The Cinderella Campaign: First Canadian Army and the Battles for the Channel Ports (Douglas & McIntyre).